This year, in the fourth of the Union Theatre’s ‘Essential Classics’ seasons, director Phil Willmott has turned to the theme of ‘Enemies of the People’, highlighting the process by which a ruling elite can attempt to silence not just opposition but also more benign threats that come in the shape of a ‘free spirit’. History has often taught us that the privileged class does not always know what is best for the common good; an argument that comes to the fore in the new musical, “Can-Can!”. Not to be confused with Cole Porter’s fifties musical of the same name, also set in 1890s Paris, “Can-Can!” takes us into the heart of La Belle Époque, when Paris, formally scandalised by its artistic community, began to celebrate these former outcasts. 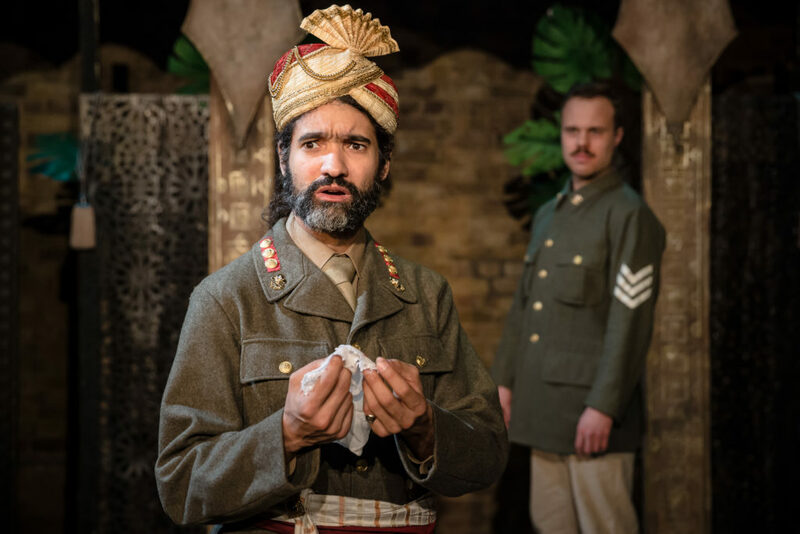 Willmott’s production, directed by Phil Setren, is brazen and brave, capturing the very exuberance of the period. A real kaleidoscope of a show, it wears its influences openly. Taking as its starting point Jacques Offenbach’s ‘Orpheus in the Underworld’, which introduced the Can-Can dance to the world, it fuses operetta with music hall and transplants it into a plot loosely based on Arthurs Wing Pinero’s ‘Trelawny of the Wells’. Onto this already rich backdrop are added the real-life cabaret characters from the Moulin Rouge (in particular Jane Avril and ‘La Goulue’) made famous by Toulouse-Lautrec’s paintings (the artist himself is also painted into the scenario). The concept is fascinating, and inspired decisions are made. But like the assortment of source material, the show itself is a bit of a mixed bag. It takes until the second act to find its true tempo. For a musical comedy the timing sometimes slips and misses the pulse, while the rhythm of the dialogue suffers from palpitations. But the choreography does not miss a beat. 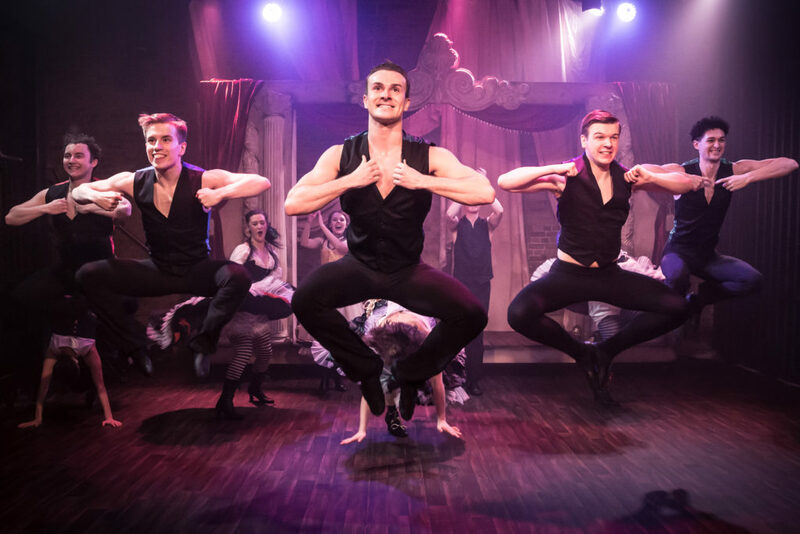 Adam Haigh’s routines are simply stunning, thrillingly performed by the all-dancing cast whose energy threatens to burn a hole in Justin Williams’ and Jonny Rust’s evocative rotating set. Further aided by Penn O’Gara’s authentically flamboyant costumes, we can almost smell the absinthe wafting through the high kicks, cartwheels and splits. The script, however, occasionally threatens to douse the fuse that is leading to the explosive finale. But luckily the spark manages to stay alight thanks to a story that bears all the hall marks of a well-structured, crowd-pleasing yarn. Jane Avril (the subtly operatic Kathy Peacock) gives up the stage when she decides to marry her well-healed sweetheart, Christian Bontoux (Damjan Mrackovich) only to find life unbearably dull, trapped in her fiancé’s austere household that detests her unrestrained personality. Escaping back to the theatre, she breaks her own heart as well as that of her beloved, who has also defied his tyrannical father in order to pursue the troubadour life. If the action occasionally lags it is soon buoyed along by some stand out moments: the dream-like ballet sequence between Peacock and Mrackovich; or the final scenes of reconciliation during which Phil Willmott’s authoritarian character finally secures the audience’s sympathy. Secrets are revealed in some heartfelt revelations to the famous Cabaret Queen ‘La Goulue’ (a marvellously camped up performance from PK Taylor) that give us a surprising back story. Despite a few splutterings on the way, “Can-Can!” ends with a bang and reminds us of the true intention of the piece. Which ultimately is to entertain. That it succeeds is confirmed by the exuberant hand-clapping from the audience along to the closing number.